I seem to be doing well when it comes to hosting writers just as they are celebrating a significant milestone. Perhaps I should be advertising this as, “agree to be a Wednesday Writer and good things will happen to you!”? Of course, it could simply be due to the fact that with so many talented people in Australia that there will always be something major happening. Today’s guest, Lisa Hannett, is indisputably one of Australia’s major talents, and her recent World Fantasy Award nomination is simply the latest in a growing and extremely well deserved recognition of her work. It’s a real pleasure to welcome such a gifted writer, and lovely person, to my blog today as she talks about the importance of not writing in a bubble. Most of us are compelled to write because we love stories: hearing them narrated, staying up all night reading them, watching them unfold on the big screen. And many of us are driven to write the types of stories that we also enjoy reading, whether it’s speculative fiction, memoir, historical fiction, Literature with a capital ‘L’, romance, mystery, or combinations of any/all of these. Inspired by all of these wonderful narratives, we attempt to invent our own new stories, share our unique voices, create our own styles, and add fresh perspectives to old favourites. Of course, we don’t want to simply re-hash what other authors have already written. We recognise trends when we see them: orphans in schools of magic and wizardry; tales about vampire hunters, vampire lovers, vampire detectives; stories of people who can speak to the dead, or of the dead who can speak to the living; spunky witches who fight crime in urban settings; fairy tale adaptations; the oh-so-familiar “I am part of a quest, with an elf, a giant, a princess, a prince, dwarves and a prophecy and I’m aided by wizards and magical tools narrative”; and the tried and true “I’m the first person or last person on this planet; I’m in an intergalactic war; I’m living on a space station that looks remarkably like Earth, but is largely a hologram” narratives. I’m not trying to disparage such trends here. Just because some storylines are familiar doesn’t mean they are bad. Similarly, just because some genres are familiar, or follow conventional formulas, doesn’t mean they aren’t worth reading. (By the same token, inventing something entirely new isn’t necessarily the equivalent of good, either.) But in order to recognise the trends, to write into them or write our way out of them, or to come up with Brilliant and Original New Stories No-one Has Ever Imagined Before (Really! ), we all need to do one thing. And, most importantly, read critically. What is it about your favourite stories that make them your favourite? The dialogue? Characterisation? Narrative drive? Imaginative new worlds? The style? The rhythm of the writing? How did the authors achieve these appealing effects? What worked in this plotline? What was unnecessary in that one? How did that author combine disparate genres (like crime and fantasy, historical and futuristic fiction, etc)? What made you think ‘Wow!’ while reading? Why? What made you cringe? Why? What made this story unsatisfying? Why did that one tick all the right boxes but still end up seeming sort of blah? Read outside of the genre in which you intend to write. You may not want to write about the French Revolution, or ancient Egypt, or Alaskan oil rigs, but reading non-fiction accounts in these areas might trigger new and bizarre storylines you mightn’t otherwise have considered. Read Regency novels not because you want to recreate that period in your own work, but for the banter, for the examples of rigid social hierarchy, for the way these authors emphasise character more than frocks and balls. Read poetry for the rhythm, the evocative images, the inspired turns-of-phrase. Read boring academic treatises just to let your backbrain compensate for the tedium by daydreaming. Almost every creative writing course will, at some point or another, offer up that most hackneyed piece of advice: “write what you know”. “Writing what you know” implies that you must be familiar with your subject matter — but it doesn’t mean you must have lived it. We all draw on our own life experiences when writing; we’re inspired by the people we encounter, things we’ve done, snippets of things we’ve overheard. But “writing what we know” shouldn’t stop there — it shouldn’t be a restriction. I’ve never lived in the Deep South, but that didn’t stop me writing a suite of stories in an imagined version of that setting in Bluegrass Symphony. I don’t “know” those States personally, but I do know what it feels like to yearn for things, to want to belong, to be a human among other humans. So I did lots of reading to fill in the blanks of the setting — to add to my stockpile of what I “know” for writing. The best writers are all magpies at heart: pilfering shiny bits of knowledge from all the books, newspapers, magazines, websites, and stories they read, and storing them for later. So writing “what you know” might mean you write from your own life and experiences, or it could mean that you write zombie stories because you know the zombie genre inside out — you’ve read heaps and heaps of zombie narratives, and so know how to reinvent or circumvent them. Or you write historical fiction because you have a passion for 14th century China. You write hard science fiction because you’ve been reading such stories since you were a kid. If you are going to write literature, mysteries, crime novels, fantasy or science fiction, children’s novels or graphic novels, it helps to read them all widely — so that you can see what hasn’t been done yet. So you can see what unusual direction you might take. Not just so that you can see how to emulate what has come before. It isn’t so much “write what you know” but “know what is written” so that you can add something new — something only you could have come up with — to the trove. Lisa L Hannett hails from Ottawa, Canada but now lives in Adelaide, South Australia — city of churches, bizarre murders and pie floaters. Her short stories have been published in Clarkesworld Magazine, Fantasy Magazine, Weird Tales, ChiZine, Shimmer, Steampunk II: Steampunk Reloaded, the Year’s Best Australian Fantasy and Horror (2010 & 2011), and Imaginarium 2012: Best Canadian Speculative Fiction, among other places. She has won three Aurealis Awards, including Best Collection 2011 for her first book, Bluegrass Symphony (Ticonderoga), which has also been nominated for a World Fantasy Award. Midnight and Moonshine, co-authored with Angela Slatter, will be published in 2012. 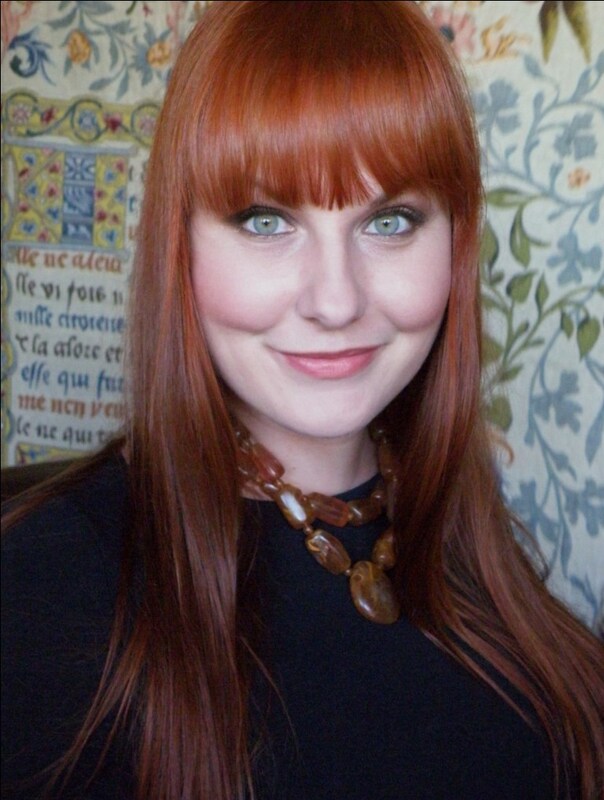 Lisa has a PhD in medieval Icelandic literature, and is a graduate of Clarion South. You can find her online at http://lisahannett.com and on Twitter @LisaLHannett. This entry was posted in Writing and tagged Lisa L. Hannett, Wednesday Writers, writing on August 22, 2012 by David. Yes, yes, yes! Brilliant post – couldn’t agree more.